Pakistan Youth Outreach is proudly announcing that this coming Summer 2017, from July 15th-August 15th, in collaboration with Karakorum Expeditions Pvt. Ltd., for the first time in Pakistan mountaineering history a national women expedition team has been formed those who will attempt Mt. Everest in 2018. The preparatory/training expedition is going to be organized to a 7000m Peak “Passu Peak 7284m”. National women expedition will be led by Pakistan women adventure pioneer Mr. Mirza Ali and only female Mountaineer Ms. Samina Baig. The expedition is planned to a 7284m high Passu Peak in the Karakorum, Mustagh region in the Hunza, Passu valley. The mountain is a strenuous climb and only a few expeditions have attempted the peak. It was a remarkable achievement when Iranian National women expedition team climbed the peak. Earlier Pakistan Youth outreach organized a week long mountaineering training camp which was followed by the first ascent of Koh-e-Zamiston 5600m in winters. This expedition was also part of the training expeditions for Mt. Everest 2018. Ms. Samina Baig is the only Pakistani among men and women who climbed the seven highest mountains in seven continents, including Mt. Everest (Asia), Mt. Aconcagua (South America), Mt. Vinson (Alaska), Mt. Kilimanjaro (Africa), Mt. Carstenz Pramid (Oceana), Mt. Denali (Alaska, North America), and Mt. Elbrus (Russia, Europe). She climbed the peak with her brother Mirza Ali, the pioneer of women adventure in Pakistan. Mr. Mirza Ali is a professional mountain guide, pioneer of women mountaineering and winter tourism, unique sports. Mr. Ali has been working in outdoor sports for the past 11 years and was the one responsible for organizing fifteen expeditions for his sister, in seven continents. He organized seven consecutive mountaineering camps since 2010, trained up to 200 youth, boys and girls, provided opportunity for more than thousands of youth in various sports. Mr. Ali aims to encourage and provide opportunity for other girls to stand on top of Mt. Everest similar to the opportunity that he provided for his own sister. There are total of six girls participating in the upcoming expedition. One from each, Sindh, Punjab, Baluchistan, KPK, AJK and Gilgit-Baltistan. Two extra slots are open for women interested to join the historic expedition. Pakistan women expedition is first of its kind in Pakistan outdoor and mountaineering history, there has been no such mountaineering expedition undertaking in the past to a 7000m peaks except that of Mr. Mirza and Ms. Samina Baig and it is therefore a unique and historic expedition. Before commencing the expedition there will be extensive training on Passu Glacier around the base of the peak. The training is set to guide, educate and train for the said expedition and to improve technical and emotional skills required for the expedition. The theme of this all women expedition team for Mount Everest 2018 is to encourage other young women to embark in serious outdoor sports endeavors, continue the slogan of women empowerment, gender equality and encourage unity amongst the youth/women across Pakistan, taking winter mountaineering as symbolic for breaking barriers and achieving big in our country. Building women confidence and trust in extreme situations, showcasing positive side of Pakistan. We are extremely delighted to share that our women winter expedition had interested foreign women as well and we are welcoming international participants to join our summer expedition to raise awareness about gender equality and women empowerment. Through this expedition we are aiming to send a global women empowerment message, women strength, courage and, resilience. More international women participants would help us showcase positive side of Pakistan. The expedition is non-sponsored Participants are requested to arrange your own equipment and finance your expedition expenses. Mirza Ali was born in Shimshal village, Hunza-Nagar district of Gilgit-Baltistan. Shimshal consists of approximately 3000 Sq. km area, inhabited by over 2000 people. 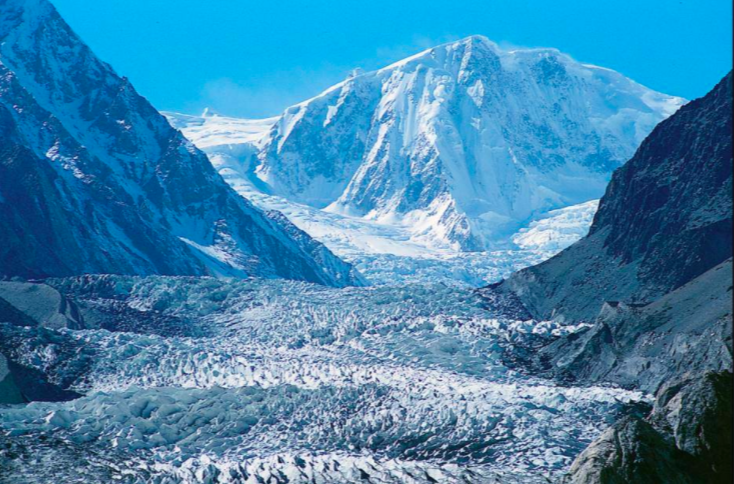 The valley is surrounded by scores of mountain peaks and huge glaciers. The area was inaccessible to the outside world until 2003 when the villagers with the help of Government of Pakistan and the AKRSP constructed a road, which took 18 years of voluntary labor. Mirza had his first mountain climb at the young age of 16 to Mingligh Sar (6050m) in Shimshal Pamir. Since the first climb he has lived out his love for the outdoors in multiple climbing expeditions, besides continuing his education in Karachi where he acquired his bachelor of Commerce from Karachi University. In early age he also used to work as a porter, cook helper, assistant guide/ adventure part, and then high altitude porter. He also didn’t find any major local expeditions or mountain related tours in Gilgit-Baltistan, most ironic he found women participation in outdoor sports such as mountain expeditions almost zero. After so many years of struggle and hard work Mirza Ali became a professional mountaineer, amateur adventure film maker/photographer and promoter, educator of outdoor adventure sports. He is works for women empowerment and gender equality through mountain adventure, his life time achievement was when his sister makes to the summit of Mt. Everest being first female from Pakistan on May 19th 2013, after his 7years of hard struggle! He climbed in the great Karakorum and Himalayas mountain ranges. Mirza Ali is a good public motivational speak and a young entrepreneur as well! Together with his sister, Samina Baig, the first Pakistani female mountaineer who climbed Mount Everest, Mirza founded an NGO, Pakistan Youth Outreach, which aims to promote Gender Equality through education and adventure sports among youth and women in Pakistan. Mirza is providing training and organizing expeditions for students of various schools, colleges and universities, of Pakistan putting his entire effort to bring mountaineering as sports in Pakistan. It was only possible out Mirza encouragement and planning that Samina could reach the height of Mt. Everest and Seven highest mountains in Seven continents, Mirza also encourage, trained and taught her Sister to climb mountains but the same time he spread the message of Gender equality and women empowerment though mountain climbing. The finest example of Gender equality is when he climbed with his sister the seven highest mountains together. Mirza climbing missions are not just to reach the summit but reaching a purpose and mission, the gist of his climbing’s are based on Gender equality, women empowerment, his sacrifice to let his sister to the summit of Mt. Everest without him, when they were just 248m short form the summit is a great lesson of women empowerment to other fellow Pakistani men. After Everest expedition for Gender equality and women empowerment, Mirza yet designed another project 7summits 7continents. For Adventure diplomacy, connecting People through Mountains, thus Mirza could bring 5embassies together to be support group as “Adventure diplomacy support group” with managerial assistance of Serena hotels, Mirza is on mission with his sister to conquer the 7 highest peaks in 7 continents, and so far they have done with 6 Peaks in just under 8 months, Samina completed the Seven summits in seven continents being first Pakistani, after Mirza successful summit of Mt.Everest they are going to be first siblings accomplish this feat! Mirza attempt Mt.Everest three times yet to give another try..Mirza is trying to show positive face of Pakistan and brave face of Pakistani women! Samina Baig & Mirza Ali are siblings from Shimshal Valley in the upper Hunza region of Pakistan. These young flourishing mountaineers from Pakistan embarked on a Mt. Everest expedition for gender equality & women empowerment. Samina Baig reached the summit of Mt. Everest on may 19th 2013, thus making history for Pakistan, being first female mountaineer, to reach the summit of Mt. Everest at the young age of 22. During the past three years, the two mountaineers have made two documentaries promoting youth outdoor education, awareness about mountaineering and women empowerment through adventure. Most of the mountain climbing expeditions were for gender equality and education. This documentary is about Samina’s journey from her remote mountain village to the top of Mt. Everest. Apart from outdoor sports promotion, Mirza Ali is the only Pakistani filmmaker/director to make a documentaries film about mountaineering, particuallry the film that appears at international film festivals, he is also pioneer of high altitude filmmaker from Pakistan.to promote high altitude climbing among youth Mirza has initiated Karakorum Films . Last year, Mirza Ali was unable to reach the top of Mount Everest. His plan had changed after an avalanche killed 16 Sherpas and climbers on Mount Everest, which was considered one of the deadliest accidents in climbing history. Summating Mount Everest is still on his to do list, said Mirza Ali. If he also climbs Everest, the brother and sister will be the first siblings in the world to conquer the seven summits. Pakistan youth outreach is making youth to overcome challenges, training them for unity and brotherhood, sharing diversity and knowledge, encourage team, leadership, and sharing a worthwhile experience run by a country with no history in significant winter sports events, by an association that had been formed 6 years back. Pakistan youth outreach is focusing on women empowerment/gender equality through winter sports, interaction of youth and reminding them their ancestral life style. We have a strong reputation of producing first class outdoor sports events, and from all perspectives the inaugural PYO Winter Games was a huge success. By any standards this is a staggering result. Not just as an affirmation of Pakistan youth outreach capability to initiate and conduct a national winter sports event, additionally to establish our credentials as the Northern Pakistan prime winter sports destination. The suggestions for future events and for outdoor activities and tourism in general are truly energizing. We now have a strong base upon which to build future Winter Games, and as a planning has already started on delivering the next outdoor games and they will be even better. It was July 2005 when I went to Arandu Village Baltistan with Dutch Climbing Expedition to spantik peak As High Altitude porter, reaching the village I found NO sign of school in the village only one room and saw the kids of this remote village in very pathetic condition. In 2011, I finally decided to start the project and went to the village in July and made little research and gathered necessary information for making proposal. I made proposal and sent it to Several organization and NGO’s and individuals, I am very blessed to my Facebook friends for their amazing support and encouragement, I am truly thankful to a Friend who doesn’t want to reveal her name who funded for the construction , teacher training and first year running cost! I am very thankful to Kashif bhai who in the very beginning support my idea and work and assured his financial support and at the end the project with help of my Individual face book friend donation and Kashif bhai contribution the project turned in to reality, I organized a three months teaching training for three high school students from Arandu village, who are considered to be highest educated in the village. We trained the boys before the school building is done, so they can give quality education at grass root level! There are more than 400 kids in the village and nearly 165 kids will be enrolled in nursery class! This school will provide education up to 450 boys and girls. The school building will be ready by mid-September, the School Name would be “IQRA MODEL SCHOOL ARANDU BASHA”, I thank all my face book friends, supporters and donors and also thank you those who have shown interest to support our future projects! You are welcome to donate, books, copies, pencil or anything to help these most remote village people, those who still live with Cattle in the winter in the same house! Let change our country by taking first step within our capacity for change and betterment of people!! It took me 8 years to fulfill my PROMISE! It would have been just a dream if my friends didn’t support my Promise! so it is sometimes wrong to say “promises are like snow ball easy to make hard to keep” we can keep it hard if we are committed 100%…this is Pakistan Youth outreach first school project and I hope there will be more in the future, if my friends kind support is there with me and my sister! We do mountaineering and outdoor activities to provide education to the people, those who have no access to basic education. For the past seven years, Mirza organize total seven basic mountaineering camp,five youth ski camps,mountain biking event,International Marathon, Mirza trained more than 200 youths,provided opportunity to more than 1000 young boys and girls to take part in different sports event, The first ever National Youth Skiing Camp organize by Mirza Ali and Samina Baig with the strong support from the Stephen Keck and Andreas Ehrensberger from Austria. We have emulated the international tradition of keeping this outdoor activity in the centre of the winter sports on a nation-wide level, which is sponsored by Serena Hotel, AKRSP, Karakorum Expeditions, and Epic Energy. This didn’t hinder us one bit. Karakorum Expeditions and Pak Youth Outreach have a strong reputation of producing first class outdoor sports events, and from all perspectives the inaugural Karakorum Expeditions Winter Games was a huge success. Mirza Ali as self made man has large experience starting from ground to fulfilling all his dreams, “Cherishing Dreams “especially of his sister, his quest and struggle has different phases, carrying tourists load on the treks and expedition and touring around the world, giving talks, Mirza Ali is a fine Motivational speaker, in the past three years he has given Numerous talks at different level from schools, to high level corporate organization. His story telling is not a reference but is his personal genuine story. 1. Lectures and presentations (Photo, Audio, and video). 3. Presentation on environment education and climate change. 4. Introduction to Pakistani and international mountaineers. 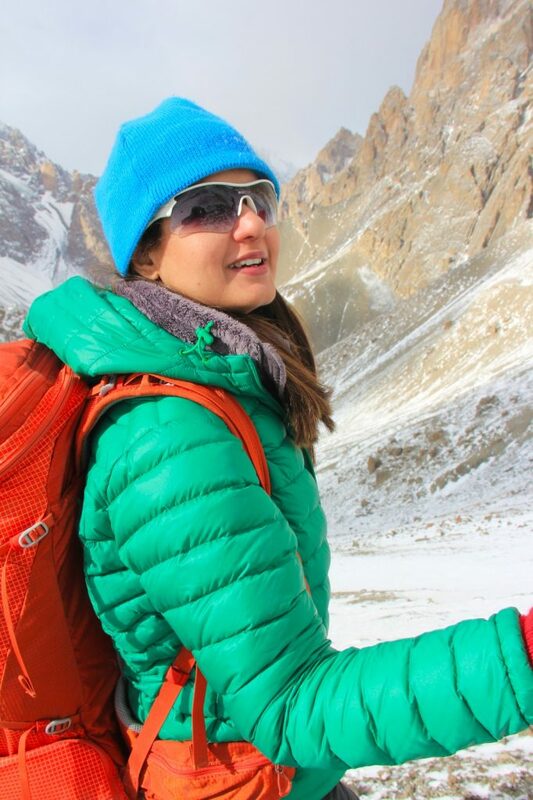 Samina Baig is a 25-year-old from the Shimshal Valley in the Karakoram mountain range. In 2010 she scaled an unclimbed peak of 6400 meters, which was her first-ever expedition and ascent. That mountain has now been renamed Samina Peak in her honor. After the expedition, she realized that mountaineering could be not only a passion but also a profession. 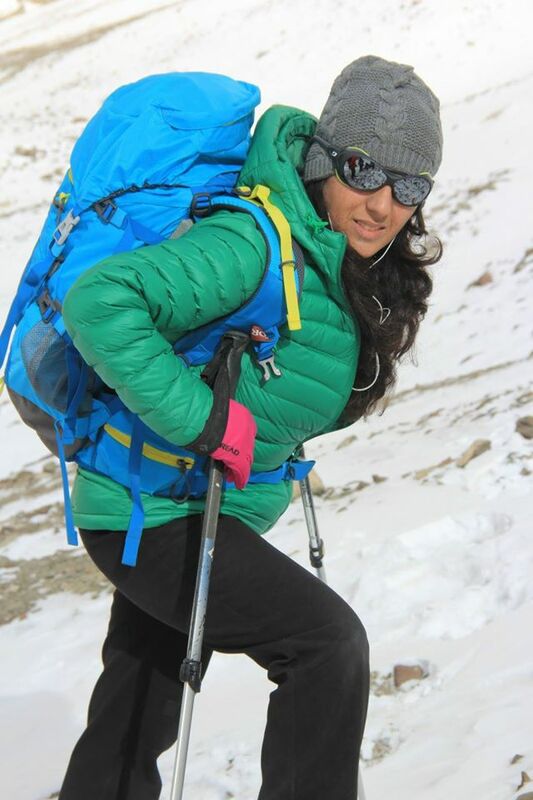 She is the first ever-Pakistani woman to have embarked on a high altitude winter climbing expedition: in winter of 2010 she climbed Minghlighsar (6050m) for the first time in Pakistan history. In 2011 Samina climbed another 6008m untouched and unnamed peak for gender equality. The peak is named “Koh-i-Brobar” (Mt. Equality) to empower women of Pakistan through adventure sports. Samina is an inspiration to all young Pakistanis, and especially Pakistani women. The greatest and historical expedition to Mt.Everest 2013 makes her climbing expeditions very special for the people and youth of Pakistan, the most unmatched feat of Samina Baig is Scaling seven Height mountains in Seven cntinets in just under 8months ,which is a record, she is first Pakistani “Among men/women) and she is first Muslim women to climb the seven highest mountains in Seven continents “Mt.Evrest of Asia,mt.Aconcagua ,South America. Mt.Vinson ,Antartica, Mt.Kilimanjaro Africa. Mt.Denali North America. Mt.Punjac Jaya ,Oceana. Mt.Elbrus ,Russia/Europe) she climbs Mountains for Gender equality with her Brother, empowering youth and women through adventures sports. She is also part of Pakistan Youth Outreach (PYO), a local organization established by her brother Mirza. PYO reaches out to Pakistani youth to raise awareness about outdoor education and mountaineering while also promoting women adventure sports such as mountaineering in Pakistan. The slogan of PYO is to “Educate Youth through Expeditions.” They aim to work on education in Pakistan. Samina represents a dynamic and positive aspect of Pakistan often overlooked by the world. – Winner of Aurat foundation Excellence Award for Women 2012. “Beyond the heights” a true story about Samina Baig, her journey from remote village to the top of the world. I am a proud Pakistani, now living in Dubai for last 7 years. I’ve been working in the field of HR for past several years, after having completed my Masters in HRM from University of Glasgow. Soon after graduation I started working in UK and lived there for few years before moving to Dubai , where I now work with an international Airline as HR Remuneration Manager. In my free time, I love to go for rock climbing & trekking. I inherited the love of mountains & mountaineering from my father, as a child I used to see him leaving for trekking expeditions and return with exciting & adventurous stories. Since then I have always been fascinated by mountains & climbing. My further interest in this field developed over the years, as I started reading about the pursuits of legendry Pakistani climbers to Everest, K2, Nangaparbat etc. It has been my lifelong dream & passion to be a professional mountaineer, and reach the summits of all 8000m peaks one day. Unfortunately there weren’t many opportunities or the right circumstances in the past for Pakistani women to pursue climbing as a serious profession. However times are changing now, slowly but surely after Samina Baig’s successful summit to Everest. I have done few treks in Nepal & Pakistan, but my first serious attempt to climbing started this winter. In January 2017, I have had the pleasure of being part of Pakistan’s National Winter Women Expedition to a 5,700m previously unclimbed peak, now known as ‘Mount Winter’ in Shimshal Gojrev Valley. It was one of a kind initiative by PYO & KKE, as all participants were first given basic mountaineering training which involved learning basic knots, lead climbing, jumaring, crevasse rescue & other technical climbing skills at Malangundi Glacier. It was a very unique & enthralling experience and has inspired me to embark on further higher & technical climbing expeditions. I am very excited to go next level and join women empowerment expedition to a 7,478m Passu Peak in July this year . I am hopeful & believe that Pakistani women possess a great potential & future in mountaineering, together we are stronger & together we can promote women mountaineering in Pakistan.